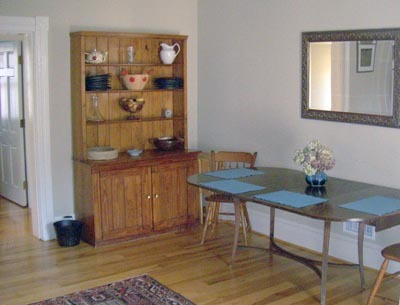 The dining room is fully-equipped for meals and entertaining. 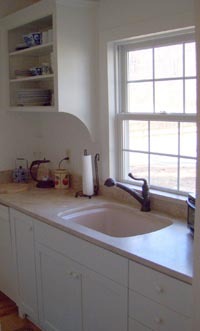 The modern kitchen is fully-equipped for meals and entertaining. 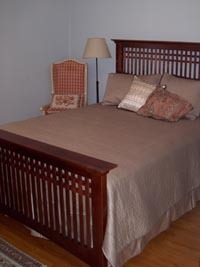 Each bedroom is fully-supplied with linens. 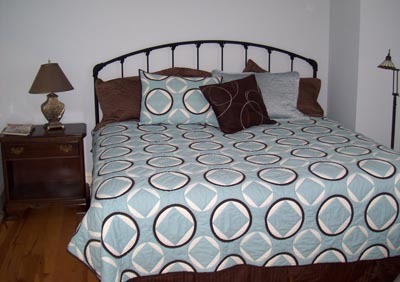 Each comfortable bedroom has its own decor. 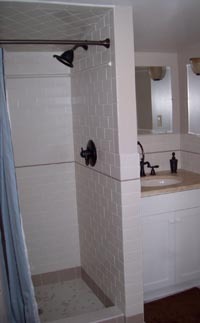 Both bathrooms have been updated with modern fixtures. 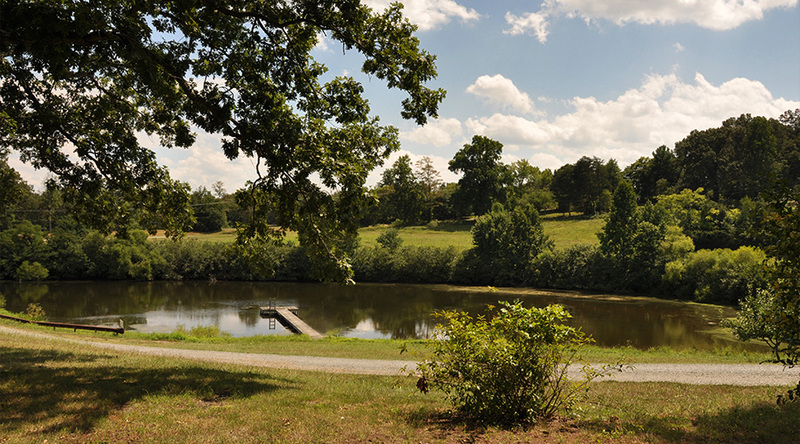 From the broad front porch, you have a view of the pond and beautiful hills of Rural Ridge Orchard.